Today I am continuing with another “truth-in-tension” post. You can catch up on the rest of the series starting back here. If you read here regularly then you know I’m really big on the importance of selflessness in marriage. A Surrendered Marriage is one in which we lay aside our rights-focused, entitlement-minded and self-centered ways that are based mostly on having your own needs met by our spouse. In place of all that, I encourage people to instead embrace a lifestyle of sacrificial love, selfless giving and the surrender of their rights for the sake of their spouse and marriage. As much as I believe that a strong marriage is built on focusing on the needs of your spouse (and marriage) more than you focus on your own needs, there are some corresponding truths that must be held in tension in order to keep things in proper balance. When it comes to meeting your spouse’s needs, you have to keep in mind that you are not solely responsible for meeting every need they have. You are not their be all and end all. That job belongs to God. You are not their God, so don’t try to be. Neither are you their savior. That job belongs to Jesus. A Surrendered Marriage will only be successful in the degree to which each person is firstly surrendered to the Lordship of Jesus Christ. He is our ultimate source and the one who ultimately fulfills us and meets our needs. It is perfectly okay, and even necessary, for you to express your needs to your spouse. Of course these aren’t to be expressed as demands or rights but out of a heart that says, “I know you love me. I know you want to love me well. Let me help you love me by telling you how you might do that.” Sometimes your husband or wife really will need some help in knowing what you need. And don’t take the mindset that it doesn’t count if you had to ask for it. That kind of attitude presumes your spouse doesn’t want to show you love in ways that matter to you. Sometimes putting your own needs first is necessary. If you don’t take decent care of yourself, you can’t hope to have anything left to help take care of your spouse, your family or your friends. Ideally husband and wife are helping to look out for each other, each making sure that the other is well taken care of (read more on the “spouse-care” concept in this post), but if that’s not the case, then you need to look out for your own mental, physical and spiritual wellbeing. Self-care is not being selfish. In the right balance, it can actually be another form of selflessness. So I will continue to encourage you here to go after meeting your spouse’s needs in a selfless and sacrificial manner. I actually hope you can move beyond simply meeting their needs in to the realm of learning how to delight them. But as you do, keep in mind that you have to balance that against maintaining your own wellbeing along the way. Hold these truths in tension. What do you do to make ensure your own mental, physical and spiritual well-being? Lori Lowe at Marriage Gems recently explained in answered the question "Why are Women Less Happy than Men in Marriage?" that it is because women tend to rely too much on their husbands to meet all their needs. Check out the rest of her reasoning by clicking on the link. We must be on a similar wavelength. One slight difference in perspective to point out, then my own take. I actually believe husbands should especially be like the Savior--like God as much as possible. But what is God actually like? When we pray to him, does he usually solve all our problems for us, take care of our needs for us? Or does he almost always expect us to figure it out--perhaps by giving us ideas or additional strength to work through our problems on our own? God doesn't take care of all our needs for us, either. I'm certain that if I sat home all day and prayed for breakfast in bed, I could pray till I'm blue in the face and no breakfast would magically appear--either I would do it, or a real live person would bring it to me. "However, the problem with just preaching “don’t be selfish,” is that all of us have blind spots in which we don’t know how we might be selfish. 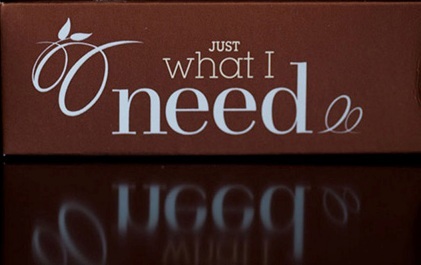 Men and women have very different needs, so we may not know how deficient we are in helping our spouse. A more important key might be clear, persistent, and honest communication--by both actions and words." Sometimes, especially for example, in physical intimacy, men and women are wired so differently, that both may need to communicate--with both actions and words--to the point of almost feeling they are going overboard. A man may need to be extremely persistent and determined in order to be fulfilled. And--that's what his loving wife wants--to be his source of greatest joy. I see this as being more honest and real with your spouse.